Connecting posBoss to Xero is easy. You need both a posBoss and Xero account and a computer with internet access. We recommend following this process with your accountant. You will be taken to the Xero login page. Login using your Xero credentials. If you have multiple businesses using Xero, select the business you want to connect to posBoss. You will then be redirected back to this posBoss screen. 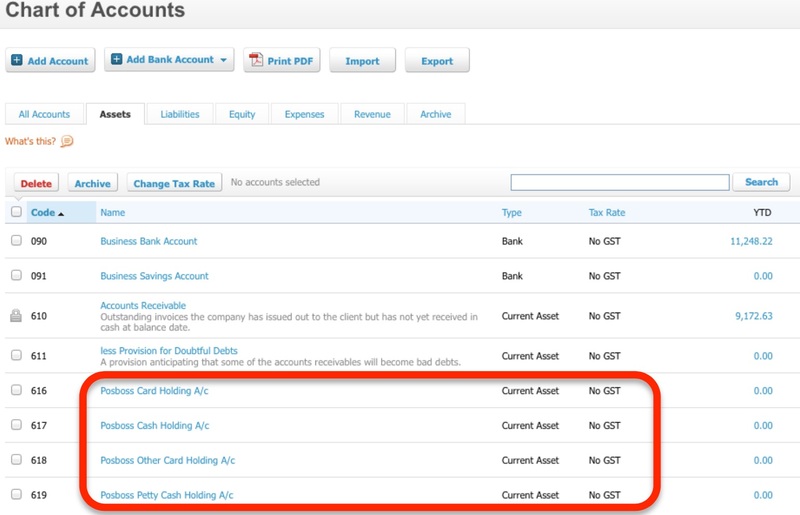 *In Xero, the Account type for these accounts defaults to Current Asset with Tax Rate of no GST for New Zealand or BAS Excluded for Australia. ** In Xero, the Account type for this account defaults to Tax Rate of Revenue with GST for New Zealand or GST on Income for Australia. *** In Xero, the Account type for this account defaults to Direct Cost with Tax Rate of no GST for New Zealand or BAS Excluded for Australia. 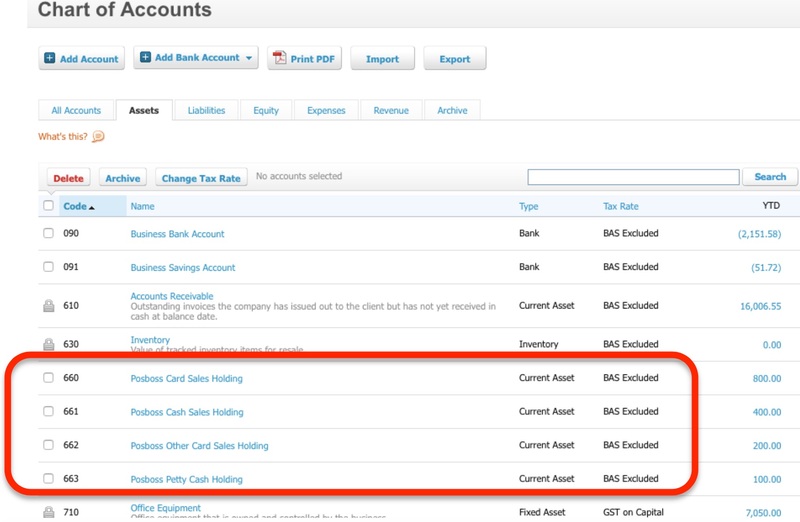 Once set up, the 6 accounts will map your posBoss transactions to the correct accounts in Xero. 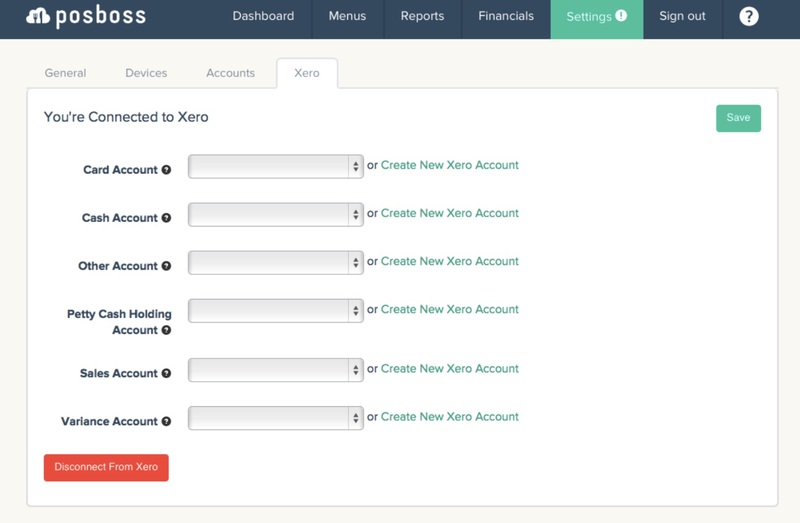 Click on Create in Xero.